Where yesterday was all about face sprays in the skincare range, today’s blog post is all about the review of some Essence makeup sprays. Because where sprays can be part of your skincare routine, they can also be part of your makeup routine. I have some experience with setting sprays, but a primer spray was new to me. These two launched as part of the Essence 2018 spring/ summer changeover and I have had some time to try them out after I bought them. In terms of the price point these are of course very affordable. The only setting spray I have experience with is the Urban Decay All Nighter in a mini version. That costs €14. These two sprays cost far less than that. The matte setting spray is €2.99. The primer spray is a bit more expensive but still very affordable at €3.59. So if these sprays are any good, then they are a great, affordable drugstore find. Both of these sprays come, what else would we expect, in a spray bottle. The bottle is nothing too fancy and quite simple. It is just a cheap plastic spray bottle and I think that if you clean these out, you might also be able to reuse them for other purposes. They come with a lid and each bottle contains 50 ml of product. The spray nozzle on these seems quite dreadful at first. But as I showed in my first impression video, the sprayer needs some time to loosen up before using it. So don’t spray this onto your face directly when you first get these, because you will get some big droplets of product. 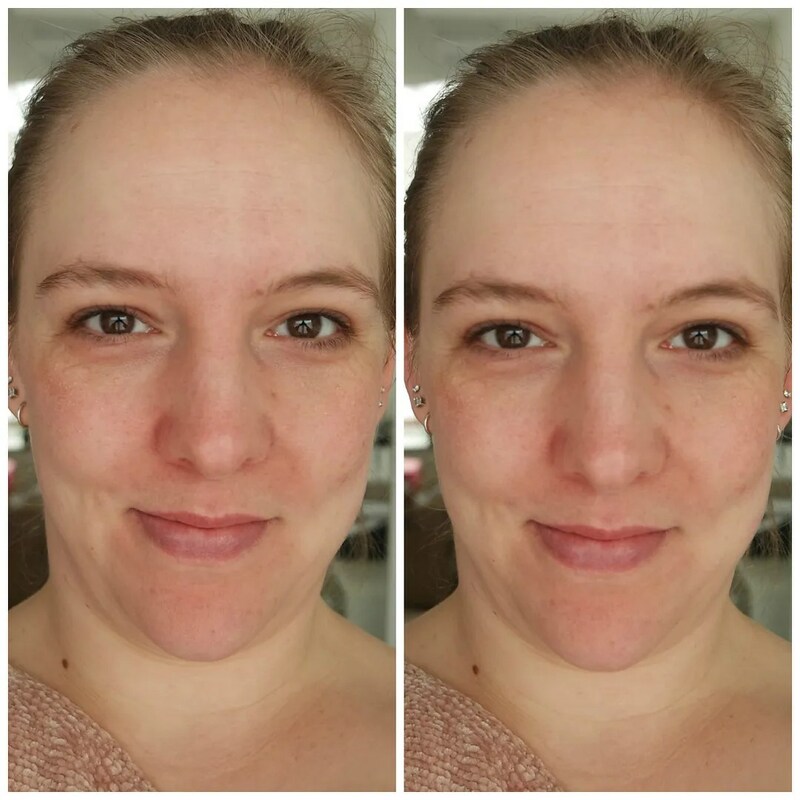 With the primer spray that isn’t much of an issue as you are not wearing any makeup yet. The makeup setting spray however, could potentially disrupt your makeup when sprayed on directly, so be careful. After using these consistently for the past few months, I can say though that this only happens on first use and after that the mist is super fine. The mist is in fact so fine that my camera doesn’t pick up on it. So I had planned to take pictures of the spray as it was being sprayed, but the pictures just didn’t come out. Also on the face you can’t see massive difference between the before and after. 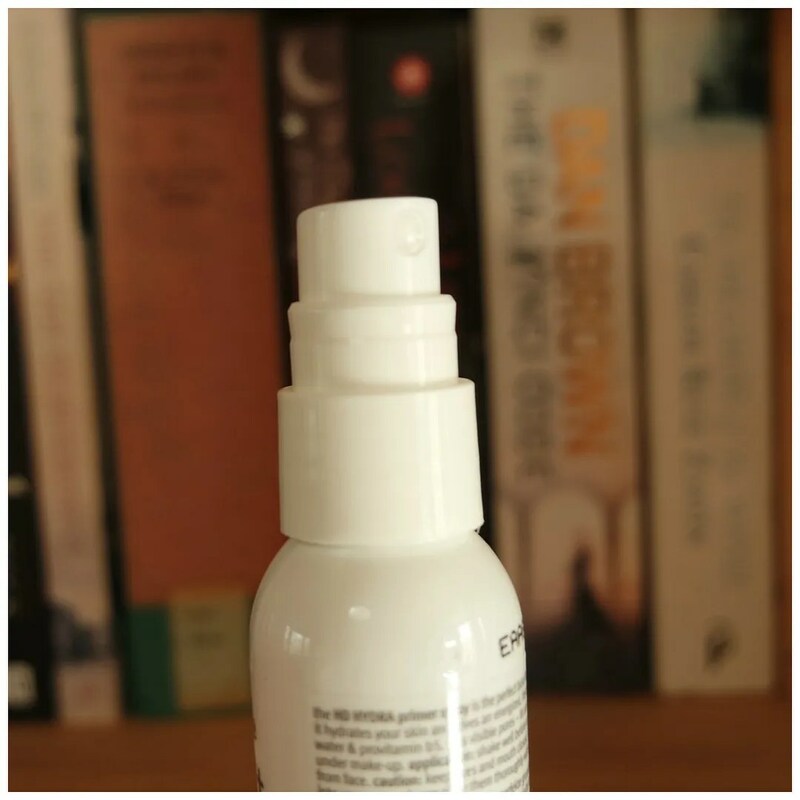 The primer spray mostly promises to add a layer of hydration and that is what I like to wear in terms of primer. I do not necessary look for a primer to make my makeup last longer, but what I look for in a primer is an added layer of moisture. And that’s exactly what this does. The bottle boasts this having coconut water and I think they may have been trying to dupe some of the Too Faced coconut products. This doesn’t smell too strongly though. It has a good deal of coconut in it as it is listed high on the ingredient list. But so is alcohol which may not be the best for your skin. So if you have sensitive skin, you may want to watch out with this, but it hasn’t given me any problems. The setting spray is the true star of the two sprays here though. You cannot see much when this is first applied, but it definitely makes my makeup last throughout the day. In fact, I notice few differences between this and the Urban Decay which is nearly 5 times more expensive for less product. This product says it can be used as a primer as well as a setting spray. If you have oilier skin than you may be interested in this over the primer spray as this definitely has this oil control ability. While the effect doesn’t last all day and it doesn’t cause my makeup to last throughout a full cardio workout, it does make my makeup last much longer than when I wouldn’t wear it. 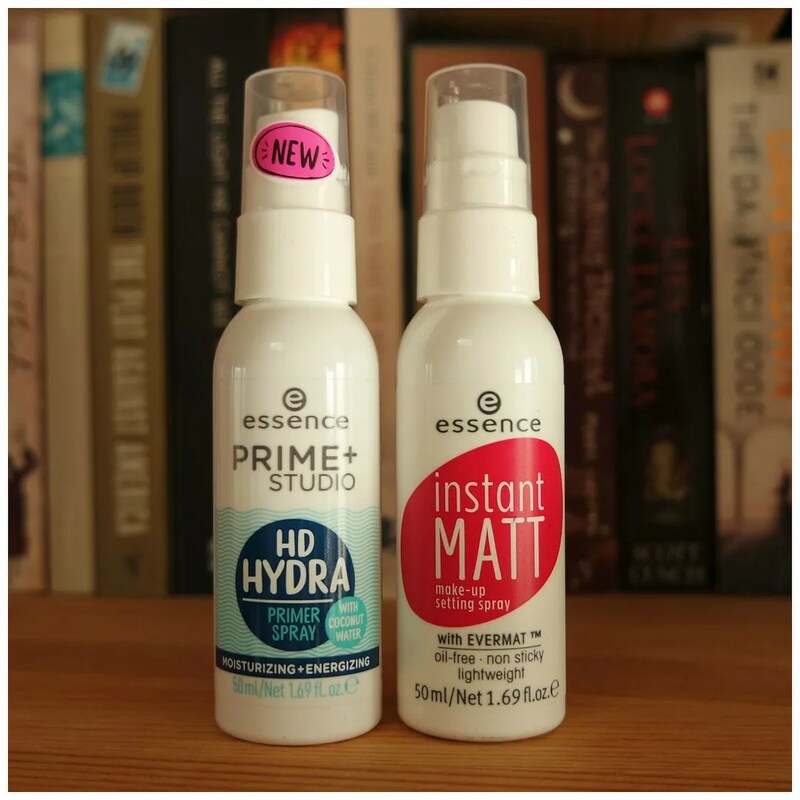 In short, the Essence Primer and Setting spray are two products that truly surprised me. They are easy to use once you get through the first moment of use. The mist is fine and they do what they intend to do. The setting spray is the stand out product for me as I find it comparable to a much beloved high end product at just a fraction of the price. If you want to try a setting spray or are looking for a great affordable option, I highly recommend you try these. What makeup setting spray would you recommend? These are really great! I was very surprised by them. Let me know what you think when you’ve tried them. I would definitely love to try the setting spray! I have oily skin so I use a setting spray as both the primer spray and setting spray! Great review, thanks for sharing! My skin is not that oily, but I do have some pretty long days and I like my makeup to last. So I love them now. I’m not so sure about the concept of primer sprays. I tried the Smashbox one and it was useless. I do like setting sprays but I mainly use them to get rid of the powdery look on my skin. One that I’ve been using that I like is the Avon one – not sure if you have access to Avon there? I only bought this cause it was cheap. I definitely want to try and use it up. We sadly do not get Avon here. At least not as far as I know. Maybe only in specialist stores. Wow your skin is glowing. I will also use this primer. Depends on the primer! There are primers aimed at mattifying the skin and oil control. I personally do not use them as I have dry/ combo skin and prefer hydrating primers because of it. But I think the Rimmel Lasting Perfection primer (white tube with blue letters) is a good budget alternative if you are looking for a heavy duty primer that doesn’t break the bank. 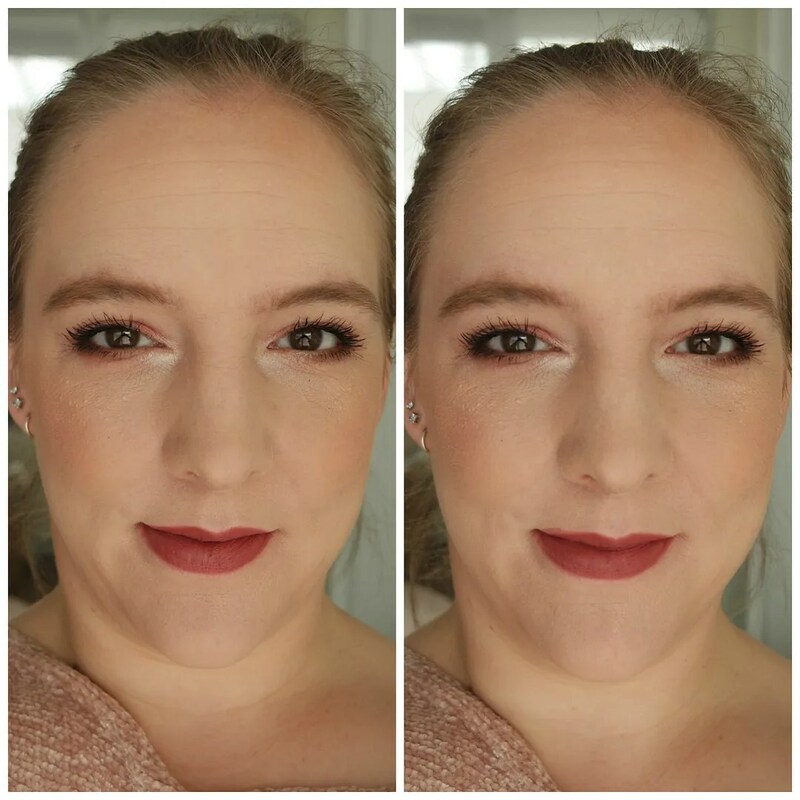 I have only been using primer for the past year as I didn’t really need it before, but as my life changed, my makeup needs changed and now I can’t live without it. Hope that helps!